This is the Mega Collection of Mixed Drinks, Cocktails, Cordials, and Liquers!!!! 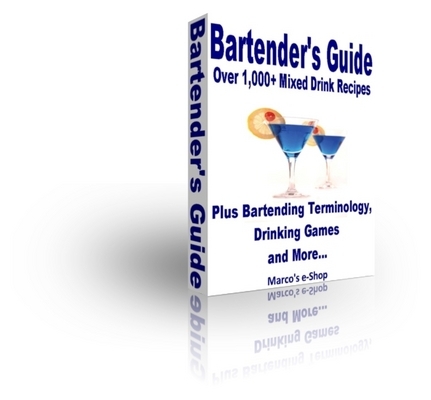 This ebook contains over 1,000 recipes of everyones favorite drinks. Make cocktails for any occasion and be the life of the party. If you're a professional bartender this is an excellent source of mixed drinks to add to your arsenal. If your just hosting a get together, Wow your friends and family with one of the 1,000 plus delicious cocktail recipes in this ebook! - Information of serving glasses including glass sizes and the preferred mixed drinks.